You must request this information from your child's teacher. 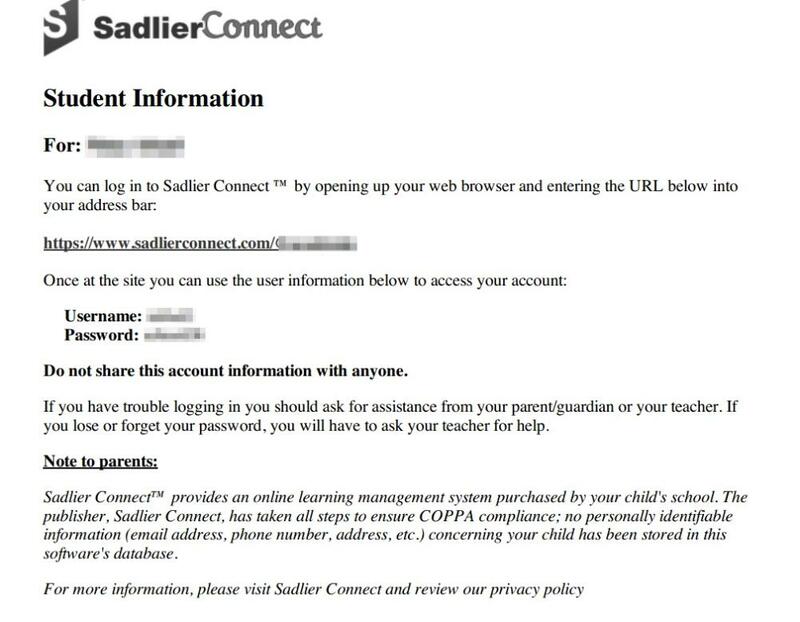 If you do not have your child's account information, you must request it from their teacher. William H. Sadlier is unable to provide this information to you.